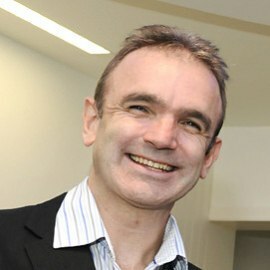 Martin Tobin is an Honorary Consultant in Public Health with a prestigious Wellcome Trust Investigator Award. He has led/co-led teams in large collaborative projects that have transformed our understanding of the genetic mechanisms underlying lung function, smoking and chronic obstructive pulmonary disease (COPD) – COPD being the third leading cause of death globally. To build upon these findings, he leads collaborations between academia, industry and the NHS aimed at the identification of new drug targets and at better targeted prevention and treatment for COPD. Martin leads the Quantitative Methods, Machine Learning and Functional Genomics Clinical Interpretation Partnership (GeCIP) – a group of over 150 scientists - for this national project through Genomics England. He is principal investigator for EXCEED, a large local longitudinal cohort study addressing the relationships between genetic variation, disease and response to treatment. His research has shown several examples of new discoveries made possible through effective academic-industry collaboration.